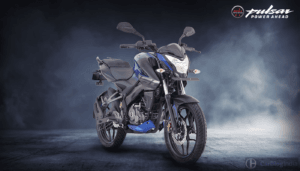 The new Bajaj Pulsar NS 160 sits above the Pulsar 150 and alongside the AS150 in BAL’s product portfolio. The Pulsar NS160 is almost an AS150, but without the front fairing and with a slightly bigger engine. It maybe noted that 160cc has always been among the most lucrative market segments. Hence, the Pulsar NS 160 just might prove to be hugely beneficial for BAL. 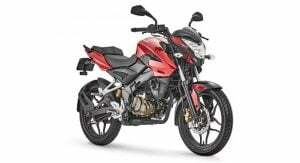 A new Pulsar model that looks almost like the 200NS and yet, has a higher fuel mileage and a lower- exactly what the doc ordered, no? 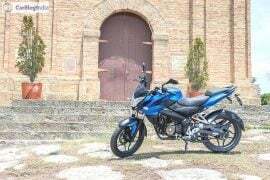 The Bajaj Pulsar NS 160 is far more upmarket than the 150cc Pulsar. No wonder then, that, the new bike is also costlier than the P150. 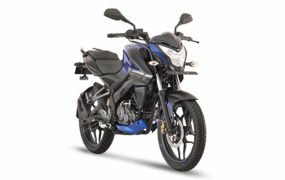 The Bajaj Pulsar NS 160 price in Deli is ₹ 78,400. 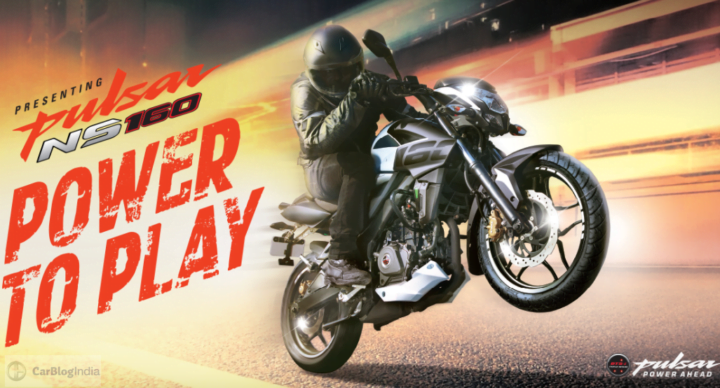 Compared to the Pulsar 150, the new bike is roughly ₹ 3,400 costlier. 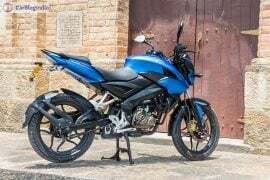 At such a price point, the Pulsar NS 160 could pose quite a threat to the likes of Suzuki Gixxer 155, Honda CB Hornet 160R and Yamaha FZ-S. 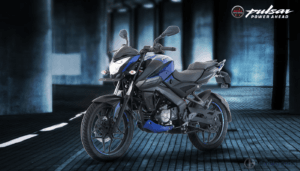 The new Bajaj Pulsar NS 160 could become a really attractive option for bike buyers. Thanks to its modern engine, decent fuel mileage and attractive design, the NS 160 should have a lot going for it. Powering this bike is a new 160cc 4 Valve Oil cooled engine that benefits from the triple spark plug technology. The engine will be mated to a smooth-shifting 5-Speed Manual Transmission. The engine should offer in tune of 15.5 PS @ 8500 RPM and 14.6 Nm @ 6500 RPM. 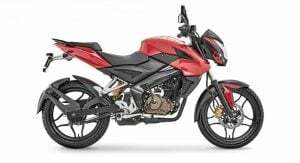 The new Pulsar NS 160 will come with a new 160cc, single cylinder, oil cooled engine. This engine should be high on refinement and be high on fuel mileage. Overall fuel mileage could be in tune of 55 KMPL. 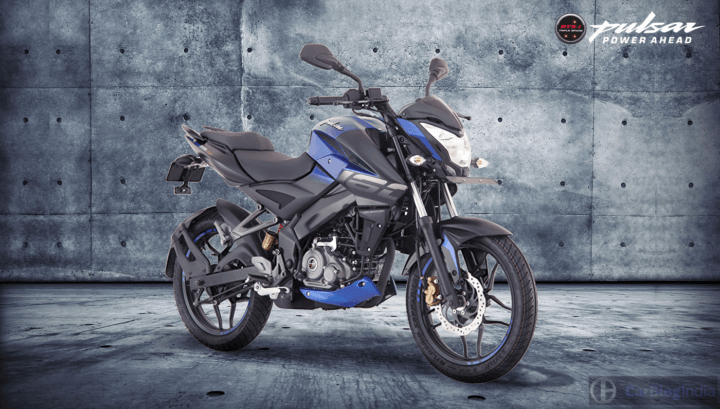 Engine, Transmission and Suspension– Powering the new Pulsar NS 160 is an all-new 160cc, 4-valve single cylinder engine. The engine outputs 15.5 PS @ 8500 RPM and 14.6 Nm @ 6500 RPM. On putting things in perspective, the very capable Yamaha R15 outputs around the same power. The torque on the NS 160 , however, is on the lower side. 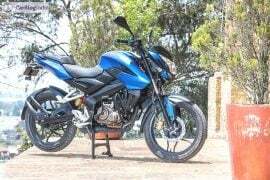 The new Bajaj Pulsar NS 160 should have a true top speed of around 121 KMPH. Fuel mileage could be in tune of 55 kmpl. The 0-100 KMPH timing is likely to be in tune of 15 seconds. The NS 160 will have a 12-litres fuel tank. Suspension duties will be courtesy of telescopic forks at front and a monoshock at the rear. 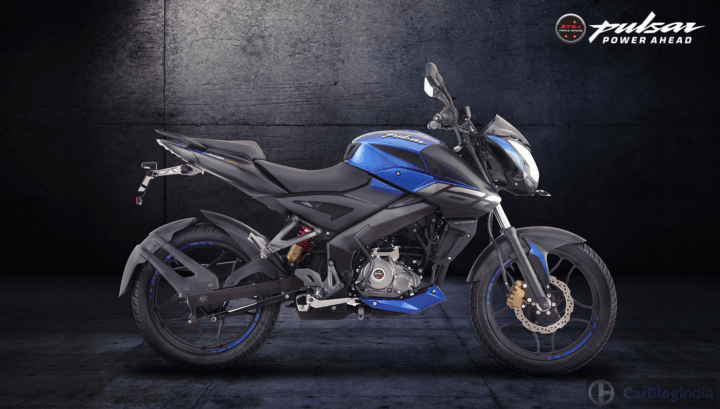 The new Bajaj Pulsar NS 160 looks bold and aggressive. The NS160 gets large cowls for its fuel tank. This give it a very sporty and masculine look. The engine and the alloys are painted black, which give the NS160 a slightly rugged touch. 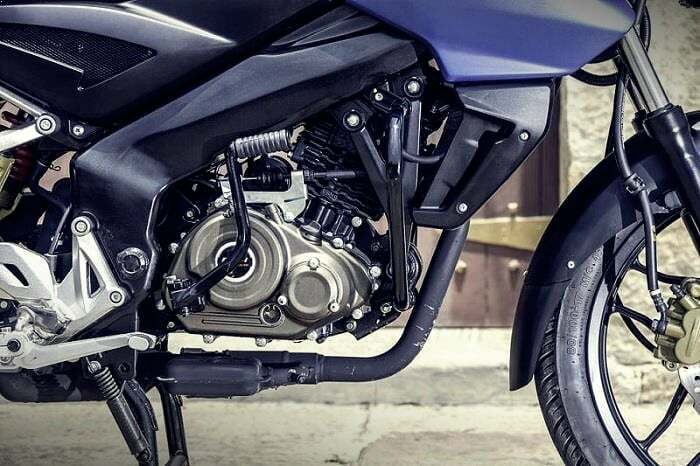 The new Pulsar gets dual hydraulic telescopic suspension at front while a mono-shock suspension at the rear. The split seats have a large seating area for comfortable ride. The bike gets split grab rails. There are stylish turn indicators. The tail lamps are familiar split lamps that we see on new generation Pulsars. 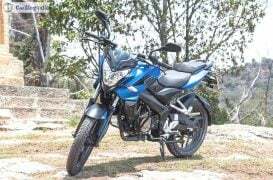 Stay tuned to Car Blog India for more on the new Bajaj Pulsar NS 160 price, specs and mileage. 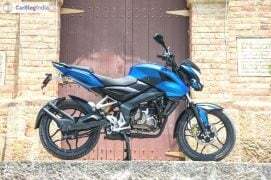 Also, what do you think should the Bajaj Pulsar NS 160 price should be? Do let us know by commenting below.